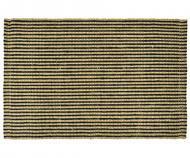 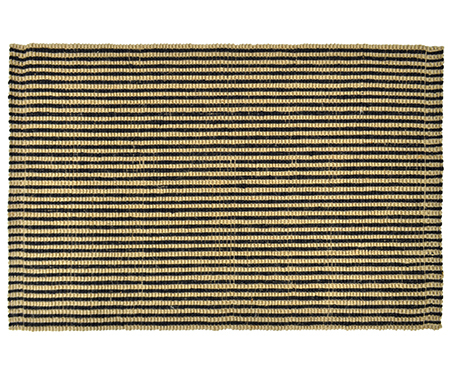 A beautifully handwoven indoor mat made from jute in a sophisticated black and natural stripe. 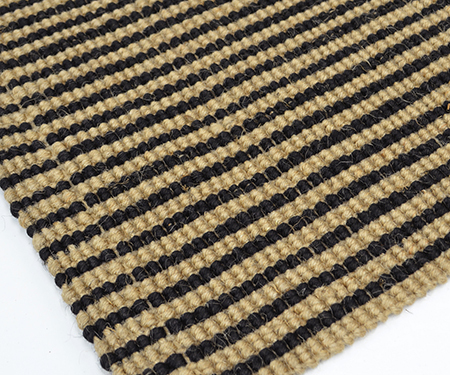 This is a slimline mat that measures 60 x 90cm and approx 0.5cm thick. No latex backing.